The Northeast Corner is the area around Union Station. 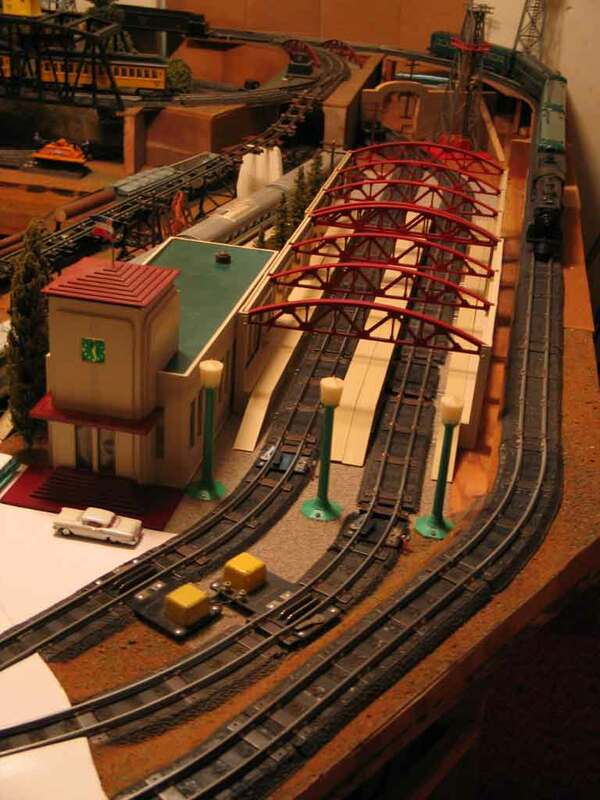 Trains enter the Northeast Corner of The Upstairs Train from the Yellow Downslope and the Union Station. They leave via the Yellow Spur to the Central Exchange. 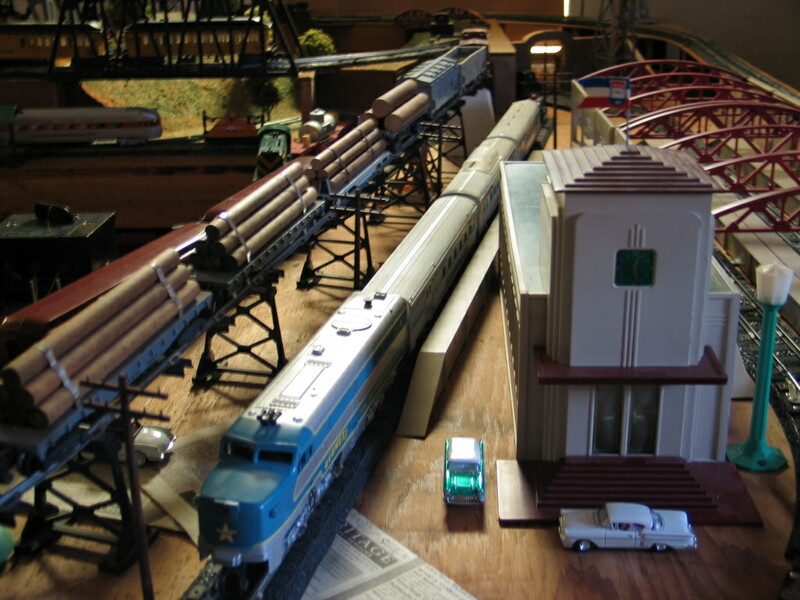 The corner also includes the Union Station siding. Up and to the left are the red downslope and red spur of the lower loop. 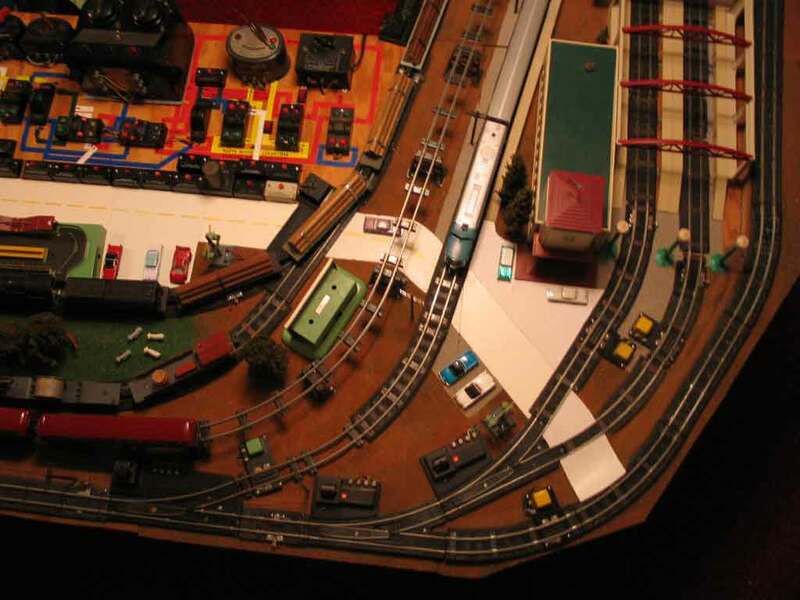 Click here to take an imaginary drive from the Northeast Corner past Union Station and Guilford Station to the farm in an S-Scale car. Union Station and the Yellow Downslope from the northeast corner. Here it is partially landscaped. Comet streamliner on the Union Station siding before I got that area landscaped. Four trains wait their turn to proceed up the yellow line toward the Central Exchange. They must wait for the semaphore to turn green, indicating the track ahead is clear. 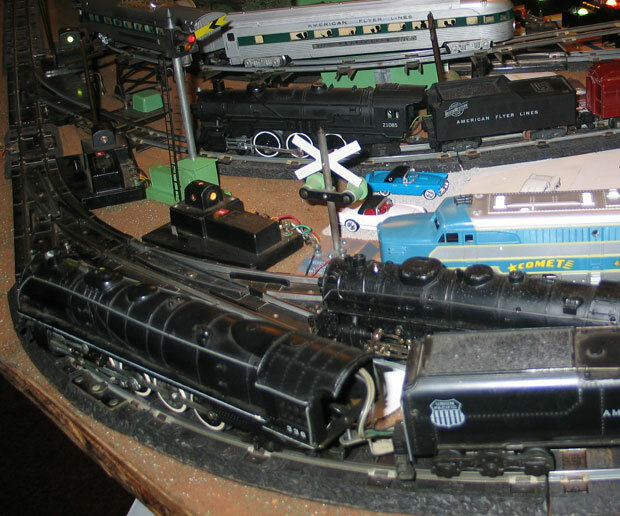 The semaphores were a later addition to The Upstairs Train; click the picture to go to the Lessons Learned page to read the details of how semaphores control railroad traffic (in addition to other things). 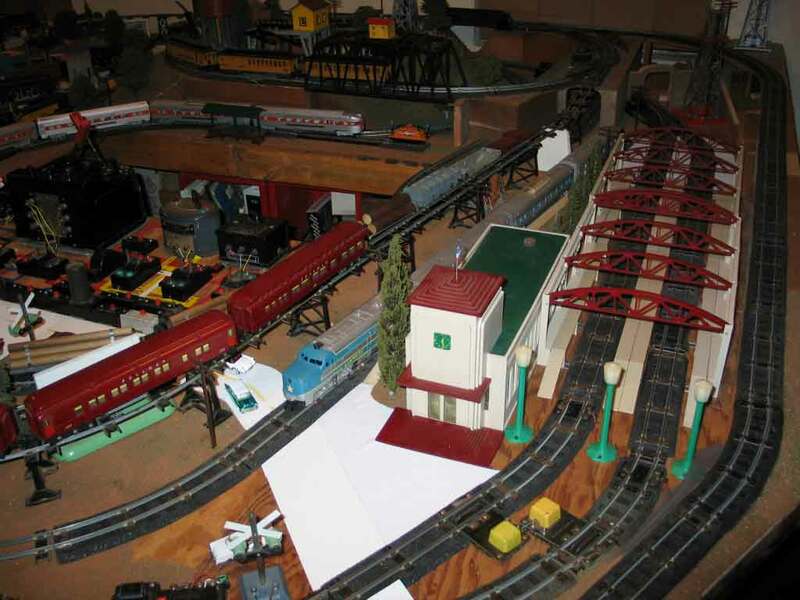 If you or your friends have some American Flyer trains and would like them to go to a nice home where they'll be loved and cared for, this is the place! Email me: theupstairstrain@yahoo.com.